Filmmaker and poet Eliot Michl’s film, Return of the Unchartable Soul has been chosen as a Semi-Finalist at the 2019 Cadence Video Poetry Festival. Verse meets visuals in motion at Northwest Film Forum (NWFF) in April 2019. Cadence: Video Poetry Festival, presented by Northwest Film Forum, programmed in collaboration with Seattle author Chelsea Werner-Jatzke, is a series of screenings, workshops, and discussions on the genre of video poetry, throughout National Poetry Month. Entering its second year, Cadence is growing considerably to fill a gap in the presentation of video poetry in the Pacific Northwest. Featuring four screenings, one each Thursday of the month, the festival’s inaugural Artist-in-Residence, generative workshops for youth and adults, and a juried selection of open submissions, Cadence fosters critical and creative growth around the oft-overlooked medium of video poetry. Festival screenings each Thursday in April. 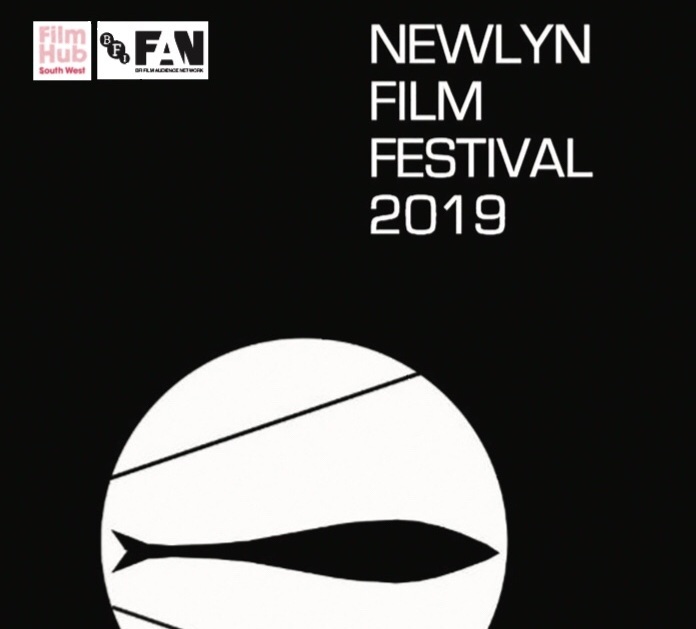 Filmmaker and poet Eliot Michl’s film, Don’t Tell Me I’m Beautiful has been chosen as an Official Selection of the 2019 Newlyn International Film Festival. The varied festival programme aims to encourage filmmakers from all backgrounds as well as attracting new audiences to short film. The whole of the imposing Acorn Theatre Penzance is used for screenings, workshops and a festival party. The selected feature films will be given a priority screening slot. The Newlyn Film Festival is truly a celebration of film, created for filmmakers and those who love film. Our festival is about more than just watching films, and we will create a friendly and welcoming atmosphere for all attendees to enjoy and discuss between screenings in comfortable and relaxed environments. Festival screenings Friday 5th-Sunday 7th April 2019. Attendance is open to the public. Passes are available online or at the door. Filmmaker and poet Eliot Michl’s film, Don’t Tell Me I’m Beautiful has been chosen as an Official Selection of the 2019 FADFest. All Together Now: A Celebration of Art, Film & Music combines multiple types of art all for show at Michigan’s own Annex Gallery. The innovative event will highlight local musicians from a variety of genres, a range of fine artists, and short films from local, national, and international filmmakers. •	Friday, April 26, will kick off All Together Now with an art opening displaying dynamic art in multiple media. It will also feature a live set of music by the Straight Ahead Trio boasting Detroit jazz greats Marion Hayden, Gayelynn McKinney, and Alina Morr. Doors open at 6 pm and the music starts at 7 pm. Food will be catered by Esto’s Garage. •	Saturday, April 27, will see alternating blocks of short films and sets by the Sean Blackman Trio. The three groups of films include animated, narrative, documentary, and experimental works by directors from Detroit and other parts of the United States as well as Asia, Europe, Australia and the Middle East. Many of the films are poetry-based, bringing still another art form into the mix. Funk musician Nadir Omowale’s band will close out the sure-to-be-lively evening. Doors open at 1 pm. The night’s last set of music will begin at 7 pm. •	Sunday, April 28, features the acapella song stylings of the Turner Sisters, the festival’s final block of short films, and a brief awards ceremony during which best-of awards for multiple categories will be revealed. Doors open at 12:30 pm. Please visit the All Together Now Facebook page for more details. Attendance is open to the public. Passes are available here or at the door. Taking place over four days of the festival at the prestigious Manchester Studios and presented by the Great Northern Film Lab the events took the form of a chat show and was hosted by BBC Manchester’s Film Critic Tom Percival. Q: In under 2 minutes, please summarize your film and its message. 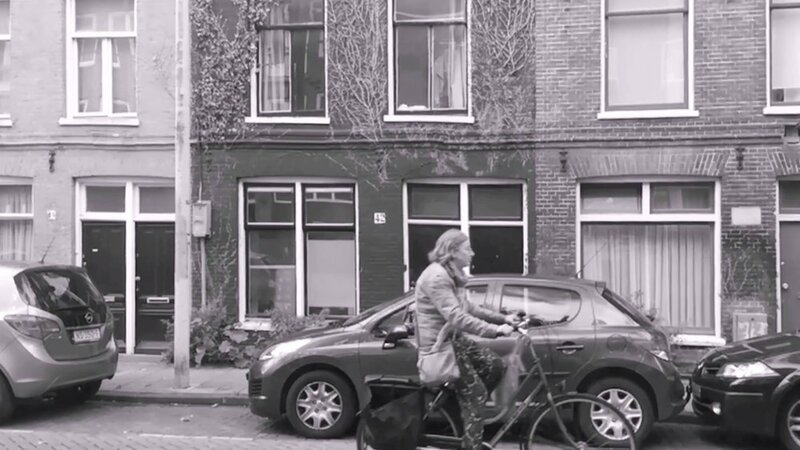 A: Lost Sock Collection is a poetry film competing in the Experimental Film cohort. With LSC my aim was to create a multi-sensory experience steeped in loss on every level and told through the lens of time. Visually I wanted to take the audience on a journey with me, not to a specific place, but to a place where time is experienced as it is in your mind. The ability we have to recall certain events with clarity while others are unobtainable and obscured. It doesn’t have an intended message, but rather what I hoped to explore were the themes of loss and grieving, and the ideas inextricably linked to bereavement and endings in general. Q: What inspired you to make and or be involved in your particular film or project? A: Loss takes so many forms when it collides with time. The loss of a loved one is grief, for example; the loss of an item or relationship is missing; the loss of childhood is aging and often results in nostalgia, and so on. In a very short time I lost my father, my marriage, my job, my home, and my good friend–who died of metastatic breast cancer. This project was a way for me to try and make sense of some of those losses. I think you never really make sense of grief, but exploring loss helps loosen it from your bones and eventually, you have made new space for those sticky, complex emotions. Q: What are you most proud of about your project? A: This is my first longer poetry film. Lost Sock Collection comes in at around 14 minutes and to me it feels like such a triumph to share this love letter to loss that’s so very personal–so intimate even–with a wider audience. It’s time to bring tiny, quiet films to the masses. People want art in their lives and it has the potential to be the salve that a lot of souls need right now. I’m also chuffed that it will have its World Premiere at MANIFF in Manchester, the hometown of one of my dearest friends. Q: What would you change about your final production if you could and why? A: I wouldn’t. This film is about letting go, and with art as much as with life, sometimes you have to be willing to marvel at the imperfections. Films, especially experimental films, don’t need a heavy starching in my opinion; films need to hang out on the line in full sun for all the neighbors to see. Q: From just the trailer and or synopsis which film in the MANIFF19 official selection would you have liked to have made or be involved in apart from your own, and why? A: I’m a big fan of Loving Vincent, so of course Flaneur looks so appealing to me. I think it would’ve been great to work with such a talented illustrator and artist. Q: Why do you make or are involved in making films? A: My poetry film work comes out of a desire to choreograph visuals to the verbal patterns and general themes found in a poem. While the themes are ever-present, the verbal patterns are truly released only when spoken aloud. I then add layers of both additional sound and imagery, enhancing the work and creating something greater than the sum of its parts. I work on all aspects of the film. What advice would you give to someone wanting to make or be involved in making their first film? Just start. If you wake up every day and you can’t keep yourself from making films, please make films. The world needs you and your art most desperately. Tickets cost £2 with all proceeds going to the Teenage Cancer Trust and can be purchased in advance at www.maniff/tickets or on the day. A selection of cast and crew from MANIFF2019’s shorts will be talking short films and filmmaking. 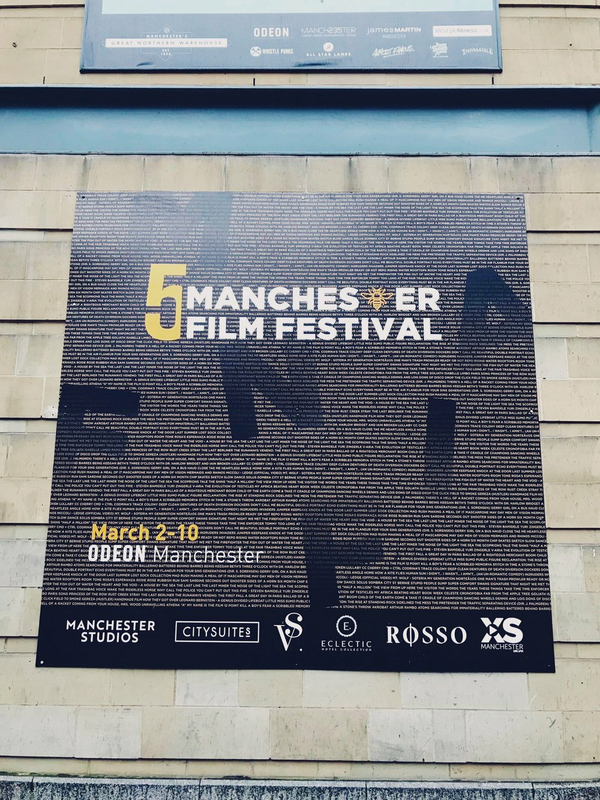 Filmmaker and poet Eliot Michl’s film, Lost Sock Collection has been chosen as an Official Selection of the 2019 Manchester International Film Festival. Attendance is open to the ticket-holding public, but limited. Screening 3rd March at 15:15. Filmmaker and poet Eliot Michl’s film, School of Life has been chosen as an Official Selection of the 2018 Miniature Film Festival. Since 2015, the Miniature Film Festival has celebrated the best in micro short, one-minute films. The Miniature Film Festival is a small but enthusiastic celebration of tiny films. This unique, one-night event will feature films from around the globe that capture the best storytelling in under a minute. Filmmaker and poet Eliot Michl’s film, Don’t Tell Me I’m Beautiful has been chosen as an Official Selection of the 2018 Juteback Poetry Film Festival. Poetry and filmmaking converge for this unique, one-night event. The Juteback Film Festival (JPFF) will feature films from around the globe, highlighting the creative migration of two art forms: video and poetry, sometimes known as Videopoetry or poetry film. JPFF is Colorado’s only poetry film festival and one of only two poetry film festivals screening in the U.S. today. Filmmaker and Poet Eliot Michl’s film, Don’t Tell Me I’m Beautiful has been selected to be screened by the 2018 Arts in Nature Festival in Seattle, Washington in cooperation with the Northwest Film Forum. The 2018 Arts in Nature Festival is being held at Camp Long, one of Seattle’s green-space gems, and will feature the work of 40+ artists over two days in August. The festival celebrates art and nature with diverse programming from music, visual art, poetry, puppetry, food trucks, merchants and more. The theme for artist presentation is “Convergence.” Artists and audience members are encouraged to engage in active participation with each other, other art disciplines, and with the natural 68-acre landscape of Camp Long. The event is proudly presented by the Delridge Neighborhoods Development Association with projected attendance of 2500. This year, the Arts in Nature Festival is particularly excited to feature music the music of Reverend Pat Wright’s Total Experience Gospel Choir. The festival will also feature music from Naomi Wachira, De Cajon, and Gamelan Pacifica. For those of you who want to experience poetry in nature, there will be a reading featuring Seattle Civic Poet Anastacia Renee, J Mace III, and Jordan Chaney. You’ll find multiple intimate but spectacular outdoor performance spaces, weekend-long installations in eight rustic cabins by Shin Yu Pai & Michael Barakat, Robb Kunz, Celeste Cooning, Markeith Wiley & Laura Aschoff, and more. There will be visual installations by Vaughn Bell, Sarah Kavage & Aaron Haba, live mural painting by Angelina Villalobos and Roache the Muralist. You can become part of the festivities and create your own works of art in nature by participating in multiple interactive, family-friendly art activities, including performances by Northwest Puppet Center, linocuts, capoeira demonstrations, and a labyrinth. The festival will also include a convoy of delicious, local food trucks and a beer garden. For more information, contact Sara Parolin at sara@dnda.org.